TOKOROZAWA, SAITAMA PREF. - There was no shortage of distractions threatening to rob pitcher Yosuke Okamoto of his focus during Game 2 of the Pacific League Climax Series First Stage. While his Seibu Lions teammates were busy putting up record numbers at the plate — 15 runs and 20 hits among other new marks set — and as the jubilation that permeated Seibu Dome grew thicker and more raucous each time another Lions player crossed home plate, Okamoto simply waited for his turn, alternating between sitting in the dugout and playing catch in front of the Seibu bench. 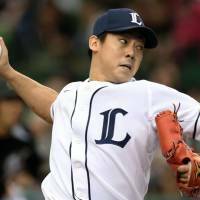 When he was on the mound between scoring drives — to borrow a football phrase since that’s the sport the final score was more akin to — he was on top of his game, striking out five and walking just one in a six-hit shutout during the Lions’ 15-0 win over the Chiba Lotte Marines on Sunday. “I tried to throw first-pitch strikes either with fastballs or breaking balls,” Okamoto said. Pitching on the heels of Seibu’s 11-1 defeat in Game 1, and with the season hanging in the balance, Okamoto didn’t buckle under the pressure while the game was still in doubt and was able to keep his composure once the rout was on. Okamoto would’ve been the unquestioned star of Game 2 if not for the Lions’ record-setting afternoon at the plate. While he benefitted from the groundswell of run support, he didn’t dwell on it during the game. “I tried not to think about it too much and stay aggressive,” the 28-year-old righty said. Saturday’s contest was the first complete-game victory of Okamoto’s brief top-team career, which has spanned 43 regular-season appearances over parts of three seasons. He was 4-4 with a 3.84 in 32 games for Seibu during the 2013 season. He was put into the rotation late in the year, and the best of his six starts came Aug. 29, when he threw eight innings of one-run ball in a loss to the Hokkaido Nippon Ham Fighters. 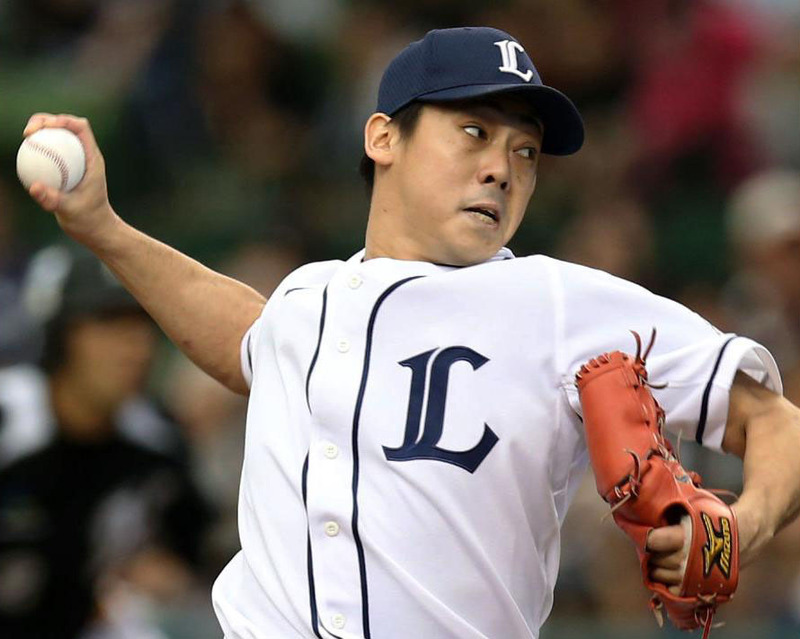 Immediately following the regular season, Okamoto was told that he’d toe the rubber on Saturday with either the season on the line or a chance to send the Lions into the final stage of the Climax Series. “I wanted to live up to the team’s high expectations,” he said. Even though Seibu’s offensive output will most likely receive the lion’s share of the attention, it’s safe to say Okamoto achieved his goal. He also made his manager look good for sending him out in such a crucial game despite a relative lack of experience. “If you look at every pitch he has, you’ll see they’re pretty high level,” Watanabe said. “The question was how much he could take advantage of that and stay in the strike zone.